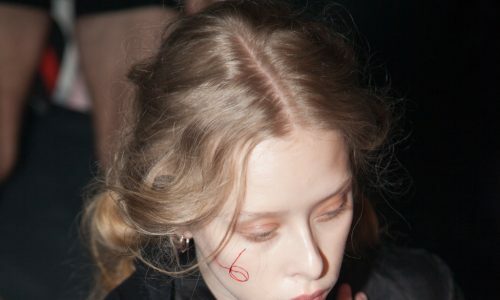 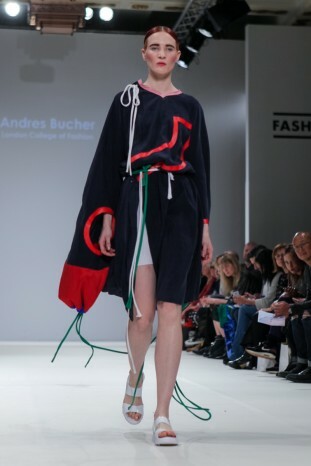 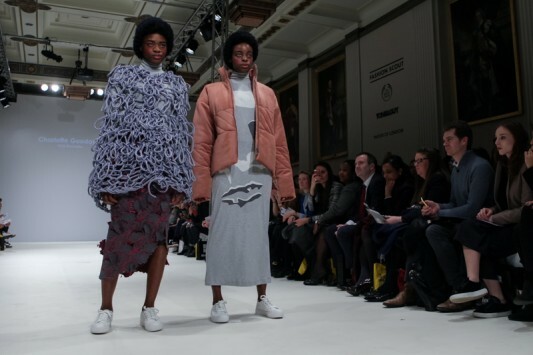 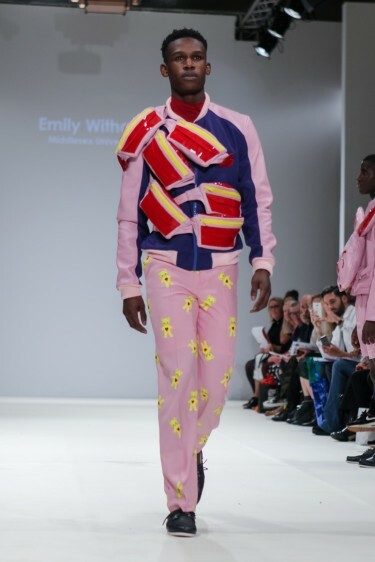 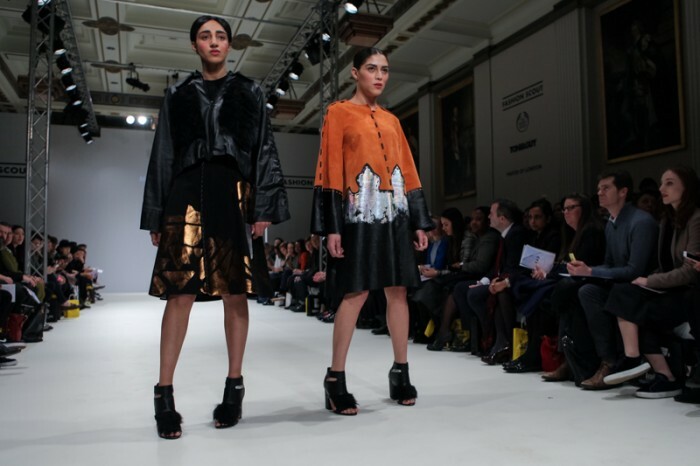 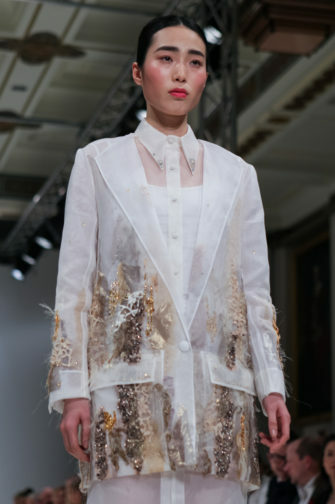 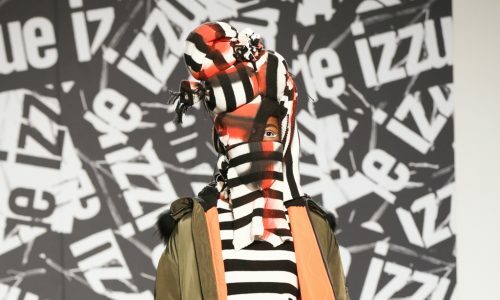 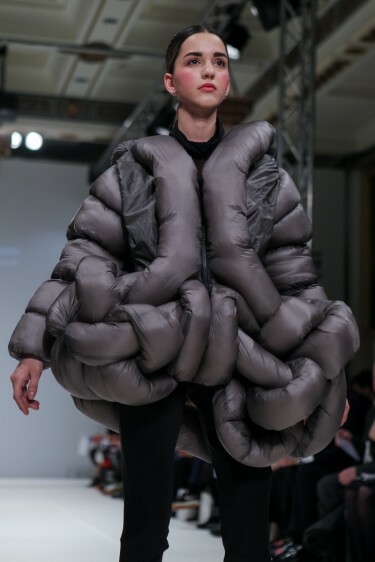 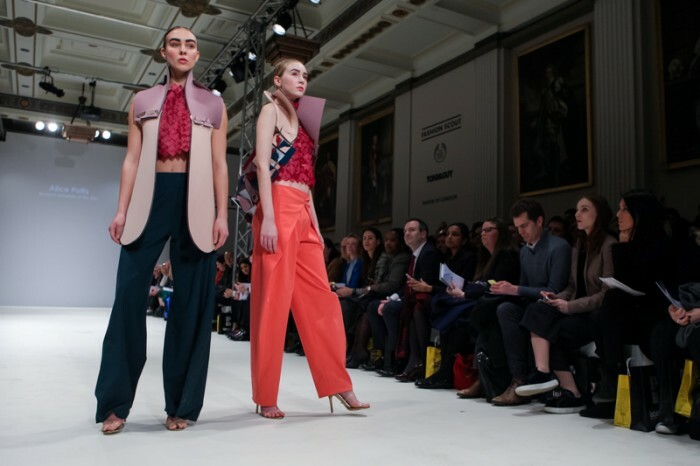 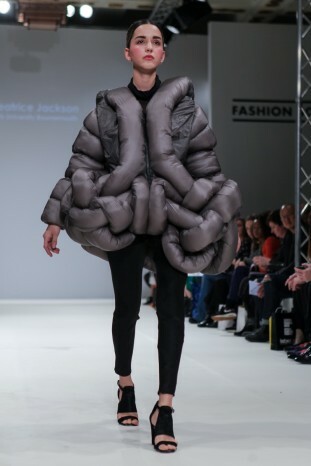 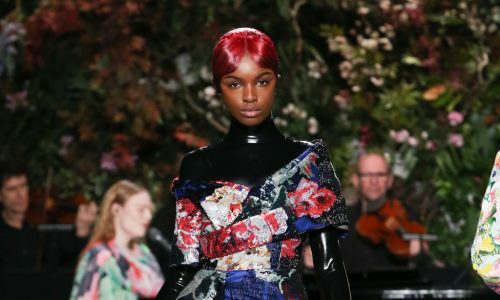 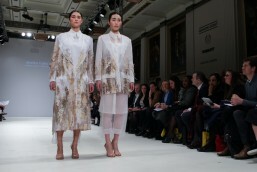 Emerging designers were given an incredible opportunity to showcase their designs as part of London Fashion Week at the FAD charity event, held at Freemasons’ Hall. 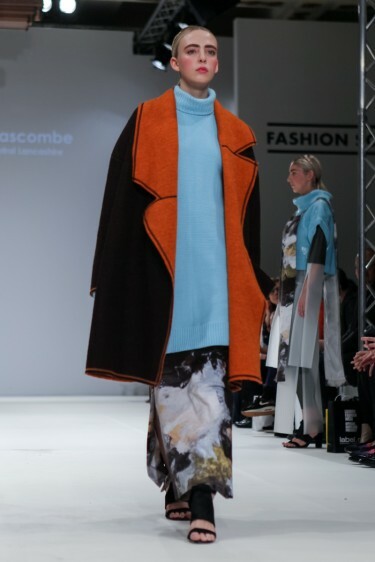 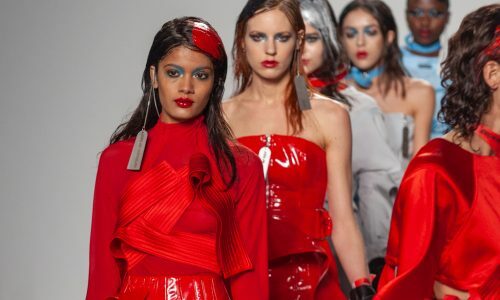 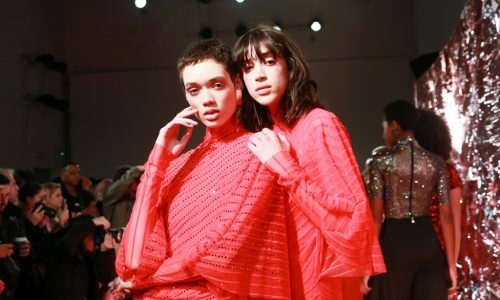 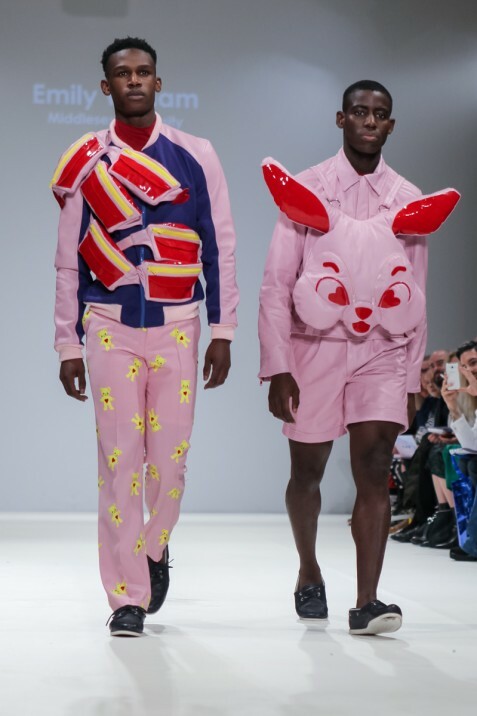 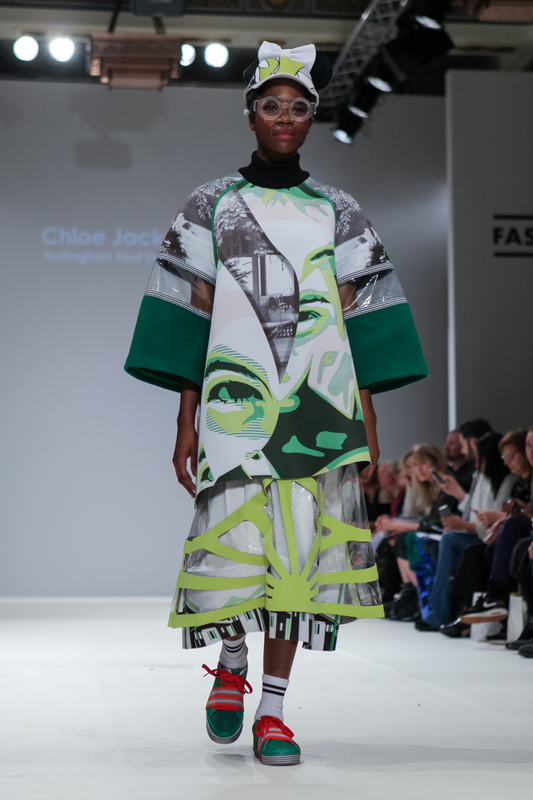 The charity aims to foster and support talented fashion students, principally in their final year of university, with the aim to support “tomorrow’s talent, today”. 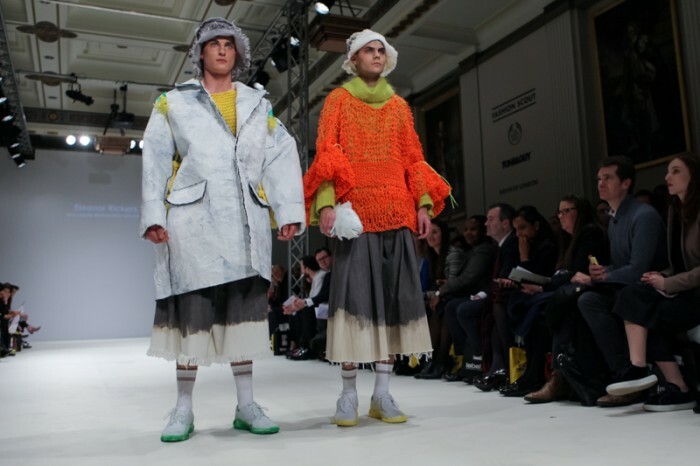 Speaking to Clare Johnston, judge and former head of textiles at the Royal College of Art, it was clear that the panel selected students based solely on talent. 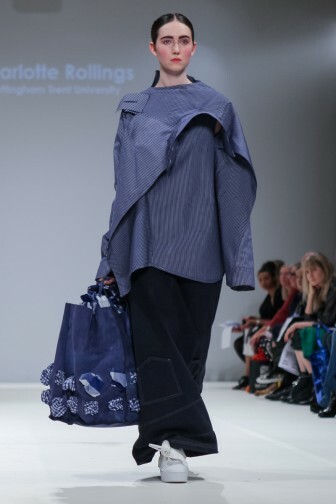 It is really important that these gifted designers are given such an opportunity so early on, and the final selection stemmed from a wide range of universities across the country. 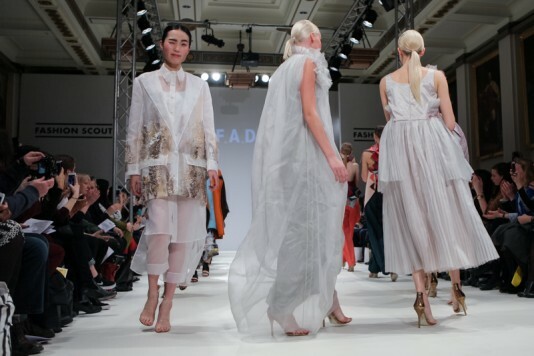 Each designer presented two looks on the catwalk before an awards ceremony. 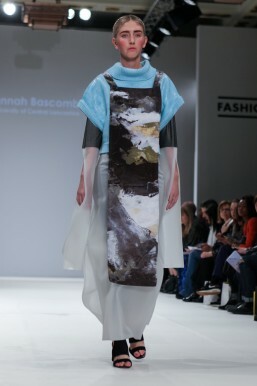 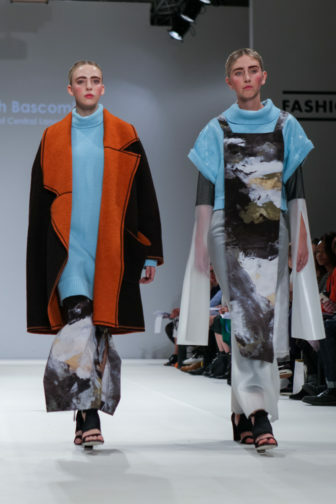 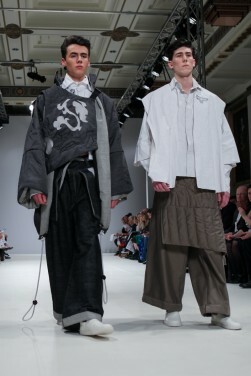 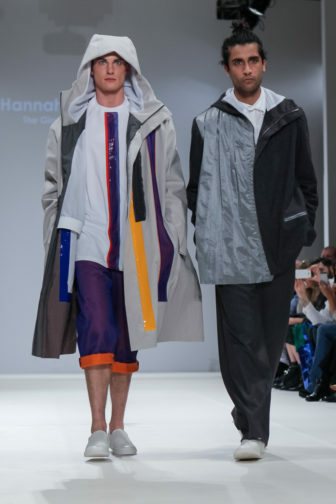 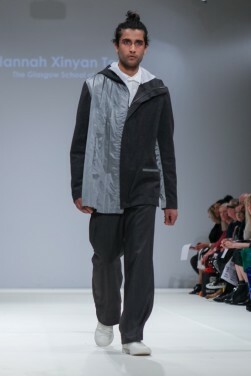 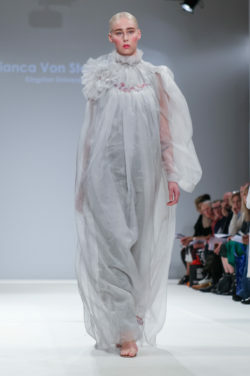 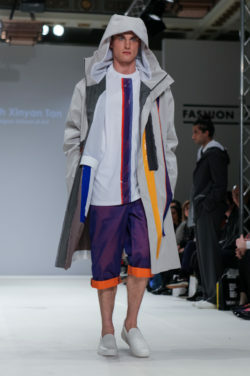 Judges selected two runners-up, each to be given £500, and one overall winner, to receive £1,000 and a photoshoot of their graduate collection. 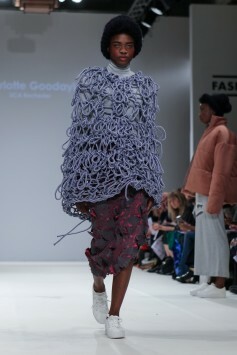 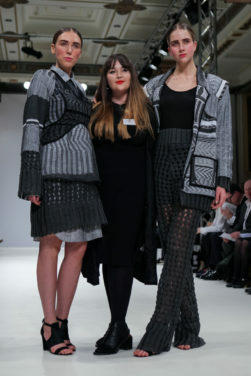 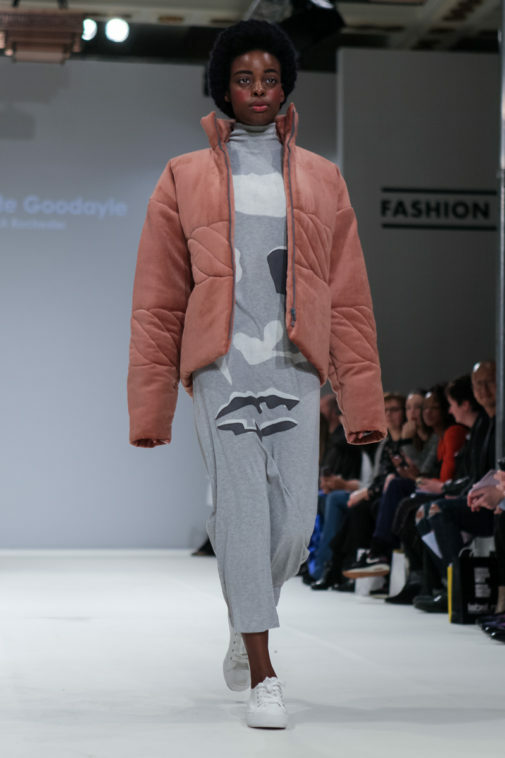 Jackie Annesley, editor of The Times’ Style Magazine, announced Danielle O’Neill as a special mention, and it was clear to see why: her expertly-knitted and woven play on relaxed tailoring through layering weaves in charcoal, silver, black and grey. 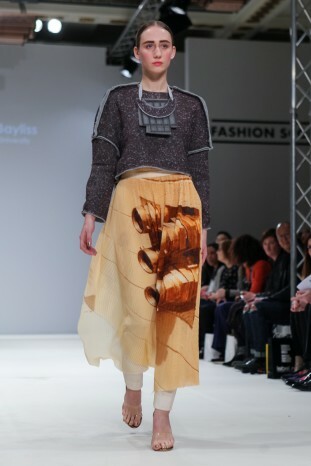 The outfits featured such skilled and beautiful graphic weaves, with covetable open-knit flared trousers featuring flecks of metallic silver. 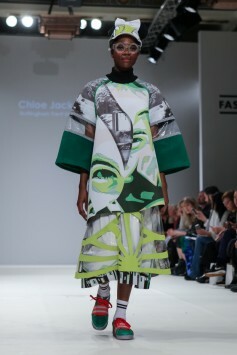 The first runner-up to be announced was Chloe Jackson, showing playfulness, fun and wit in her work, with a bold lime, acid green, black and white garden print alongside illustrative portraits on oversized neoprene tops. 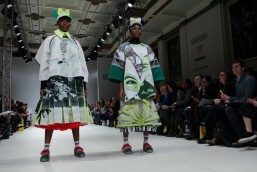 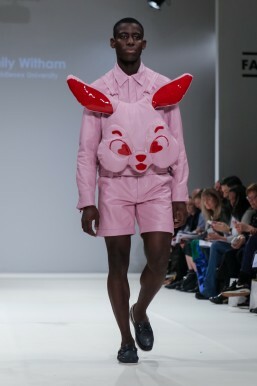 Models wore baseball caps with Minnie Mouse ears as full-length printed skirts oozed nostalgic cool – there was such natural energy and excitement to the collection. 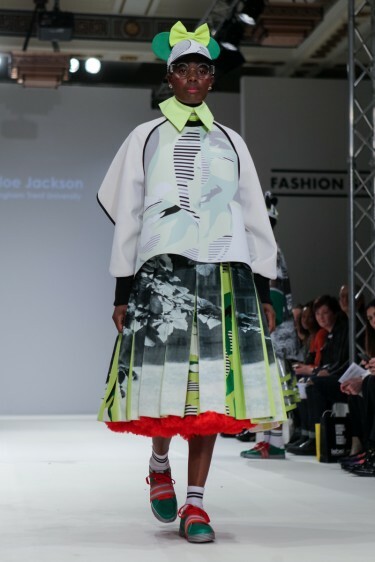 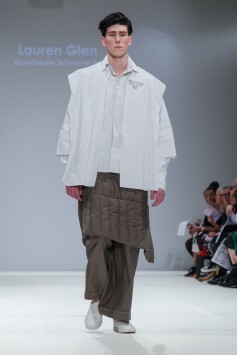 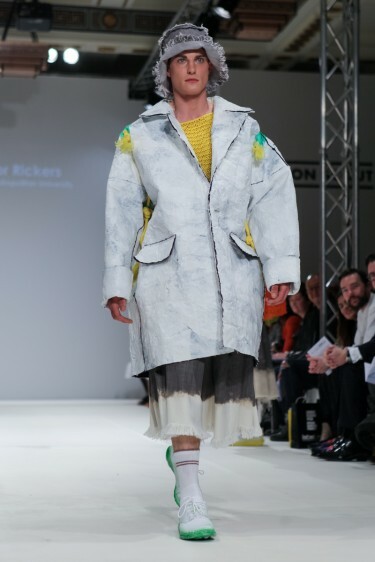 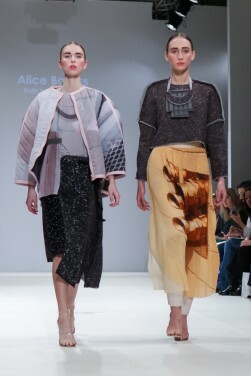 Having met this designer before the show, it was a pleasure to see that the joint runner-up was Alice Potts, from Norwich University of the Arts. 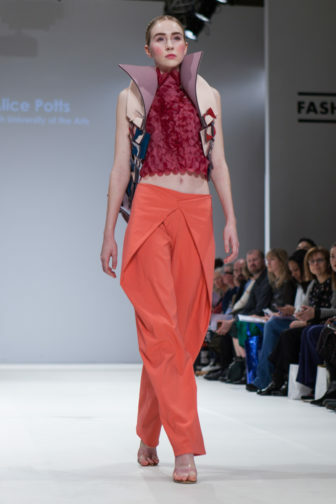 Though hailing from a background in maths and science, Potts is following her true passion in studying fashion. 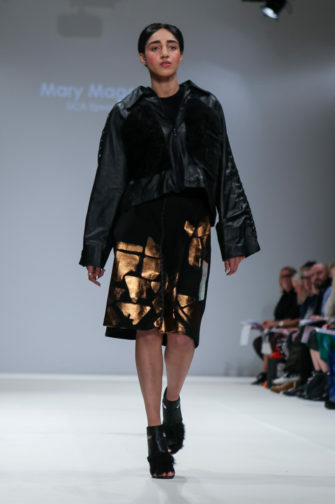 It was clear to see how mathematical and geometric shapes influenced her designs, with delicate laser-cut tops and draped harem trousers working in synergy with structural leather and neoprene. 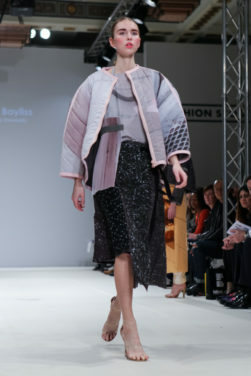 All of the triangular shapes interlinked cleverly with no need for stitching – in beautiful turquoise and berry pink. 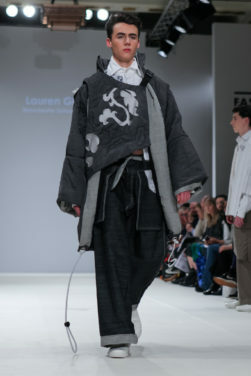 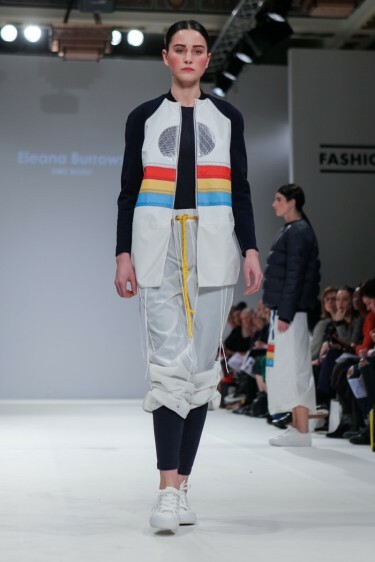 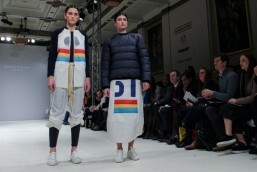 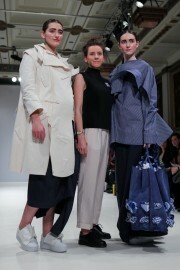 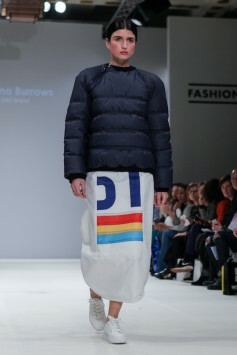 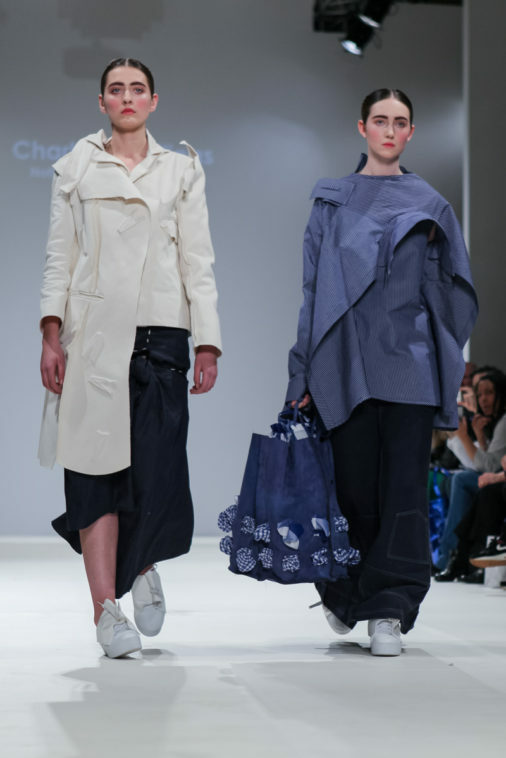 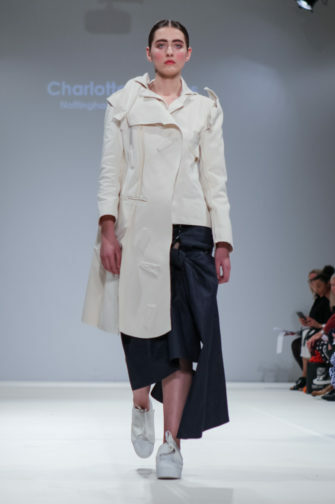 The winner, Charlotte Rollings, presented her clever deconstruct-reconstruct layering of shirts in pinstriped navy and white, against a flared trompe l’oeil denim trouser suit, and a skilfully moulded cream coat. 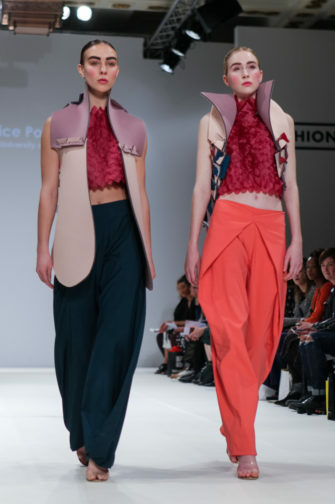 Inspired by the jumbled placement of clothing in a laundry basket, these outfits wonderfully translated this concept into highly covetable pieces. 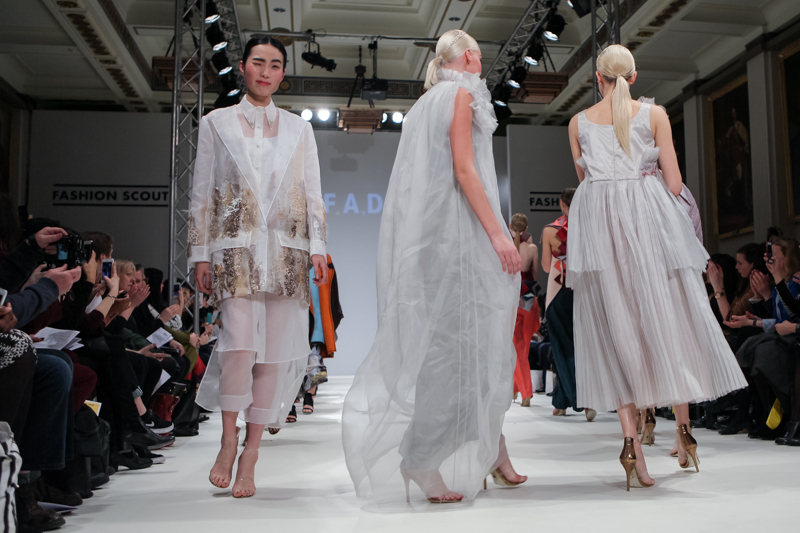 Each designer showed such vitality and freshness in their collections, proving why the work of the FAD is so important to the industry. 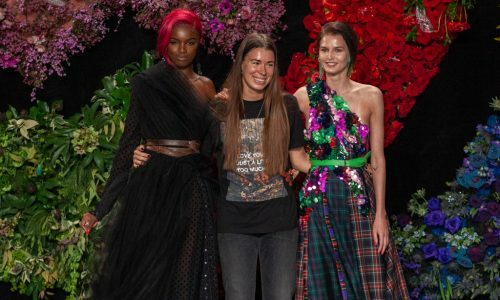 Echoing the closing statements of the show, the opportunity is there and the economy is there – therefore the future is definitely bright for these young designers!